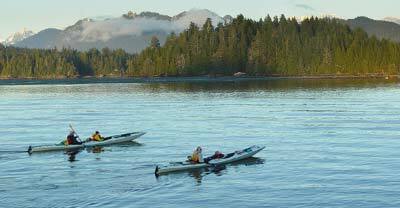 Kayaking in Clayoquot and Barkley Sound! Ucluelet is the Nuu-chah-nulth First Nations word for "Safe Harbour" and this is certainly true. You can take a guided tour, rent or launch your own boat from a public launch at Seaplane Base Road to explore rivers, waterfalls, bluffs and rich wildlife. Buisnesses listed below offer memorable day or multi-day trips to the Broden Group Island, part of Pacific Rim National Park. Our guided kayaking & hiking tours range from half-day tours to week-long adventures. 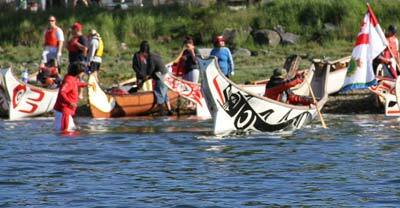 Join us in the Broken Group Islands and Clayoquot Sound. No experience needed. HelloNature.ca. 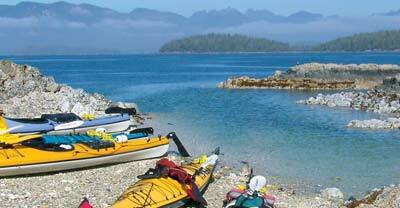 Tofino is a kayaker's dream for paddling among islands and channels to remote beaches, Mearse Island or scenic Tofino Inlet. 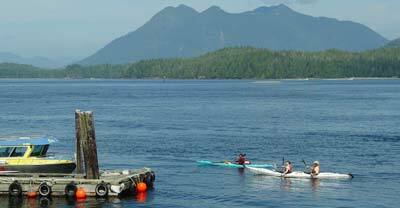 Clayoquot Sound is world famous for pristine wilderness and abundant wildlife. There is a kayak launch at First Street dock and several business specialize in leading you on safe tours in the best equipment. See below for detais. Guided day & evening paddles. Introductory lesson included. No experience necessary. 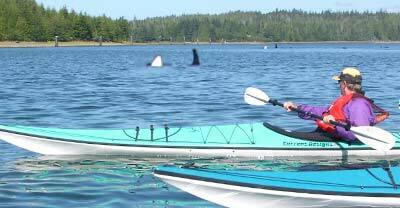 & authentic kayak tours, no experience required. Rentals, courses, supplies & info. Est 1988. Tofino Inlet has tidal currents to speed your journey.